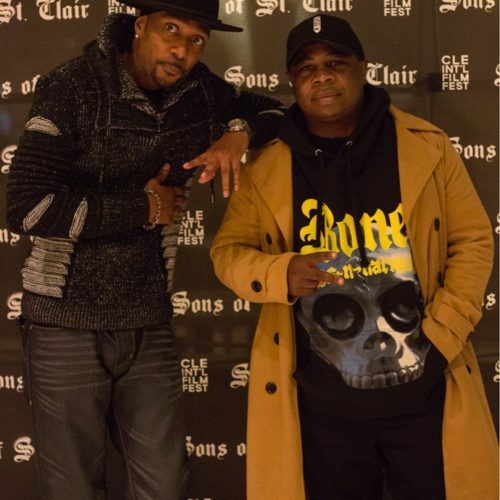 Krayzie Bone and Big Heff are looking for the new hottest artist in Ohio the “Cleveland Is The City Project.” They are looking at connecting with the next generation of artist to bridge the gap and shine some light on Cleveland. Bone Thugs-N-Harmony rose from the streets of Cleveland to become chart-topping, Grammy award-winning rap superstars in the 1990s. Their unique vocal technique, which blended R&B harmonies with fast-paced rhymes, caught the attention of N.W.A.’s Eazy-E, who signed them to Ruthless Records. Bone’s members have been active—both together and solo—since their 90s heyday. SONS OF ST. CLAIR follows Bizzy Bone and Krayzie Bone during the making of their 2017 collaboration New Waves. It’s a chance to break new ground again and an opportunity to appeal to a new generation. Quincy Taylor started working within the music industry in promotions in 2001 with Landspeed Records based out of Boston MA. In 2010 Quincy Taylor created the Big Heff Industry Tour, it’s a quarterly artist awareness tour that helps break new singles and artist. This allowed him to develop new markets for his clients with extensive lifestyle promotion, tastemaker events, radio interviews, and concert performances that has allowed Quincy to have nonstop continuous growth for all of this businesses and clients. In 2011 Quincy was appointed as the Vice President of “Nerve DJs”, a midwest based DJ group specializing in radio, club, online promotions, and building relationships between artists, music, and DJs. In 2014 Quincy “Big Heff ” Taylor joined the team with Def Jam Records as the Ohio Valley Region Rep. working on projects in the Midwest Region. In 2015, created the Big Heff Radio Show which is now syndicated on 16 different stations and he created a partnership for the Midwest Connext TV Show a video countdown music program which highlights Midwest music.